The Partagas Serie P No.2 is a superb and rich medium Habano, of Pyramid format, 52 ring gauge, 6.1” (156mm) long and comes in a box of 25 cigars. One of the best piramide cigar out of Cuba, as usual from Partagas, this is a cigar that is of wonderful construction and excellent Vuelta Abajo tobacco blend. 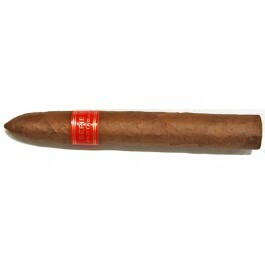 It packs the usual Partagas flavors in an elegant stogie. The Partagas Serie P No 2 provides an excellent draw with lots of smoke with every draw. 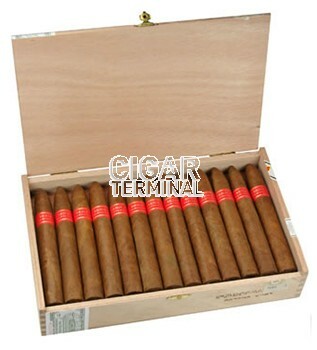 •	True Cuban cigar aficionados value this Piramides from Partagas as one of the best of this format. The wrapper glistens with an oily sheen. Simply takes your breath away. Pre-light aroma is of hay and caramelized sugar. Construction is terrific with and even slow burn. After lighting the foot, the initial flavor is very well balanced with tastes as varied as white pepper, cream, and roasted nuts. The texture is bready. There is a little spice and some kick. The profile is decidedly medium-bodied. The second third of the cigar the flavors of moss, black coffee, cream, chocolate, cashews and chewy leather are present, and the finish of light spices and cedar is a nice addition to the smooth flavors on the forefront. The burn line is still even and slow. The last third remains consistent in flavor from light to nub. Aside from a gradual increase in intensity as the end draws near with a kick of nicotine, there aren’t many discernible changes in taste, save for a texture change from bready to syrupy. In summary; a wonderful flavor, increasing in strength and depth to the end.